Are you worried about the impact of a low conversion rate on your eCommerce site? If your visitors aren’t converting at all, or there’s a sudden drop in the conversion rate, your bottom line will suffer for it. What if you could do something to recover those lost leads and sales? The first step is to identify the underlying cause. There are lots of possible explanations for a poor conversion rate, and we’ll look at those in this article. By the end, you’ll know what’s responsible for your low conversion rate, and how to solve it, so you can improve your eCommerce conversions, boosting your sales and revenue. As our beginner’s guide to conversion rate optimization says, a conversion is when a web visitor completes a desired action, and the conversion rate is the percentage of total web visitors who took that action. Typical eCommerce conversions include adding items to a shopping cart, completing a purchase or saving items to buy later. If enough of your site visitors aren’t doing those things, then you have a big problem. So what is a good eCommerce conversion rate? As with most metrics of this kind, it depends who you ask, because eCommerce conversion rate benchmarks can vary widely. For example, data from Monetate on eCommerce conversion rates for 2017 shows that the average eCommerce add-to-cart conversion rate is 9.03%, but that figure masks wide variations depending on location and device. And WordStream’s conversion rate analysis gives an overall conversion rate of 2.35%. However, the top 25% of companies convert at 5.31% and the top 10% at 11.45%. That’s why, in eCommerce, what you consider a low conversion rate depends on whether you’re aiming to achieve the average, or reach double digit eCommerce conversions. And, regardless of your current conversion rate or goals, there’s always room for improvement to optimize your eCommerce revenue. Now let’s look at some of the reasons you might have a low conversion rate. One common reason for a low conversion rate is that people don’t like what they see when they land on your site or, even worse, they can’t find the information they need. If you’re getting traffic but no conversions, or have a high bounce rate on a page you think should keep visitors on your site, then it makes sense to troubleshoot site design issues first. We’ll tackle the most common design issues that hurt your conversion rate throughout this article. However, while it’s important to have a site that looks good, it’s even more crucial to look after usability, so people can get essential information and complete their desired actions without hassle. 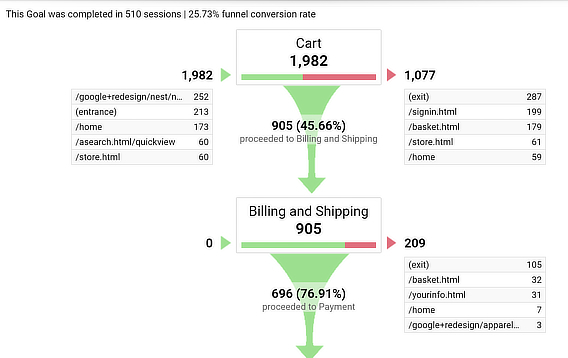 Check conversion rate metrics, user flow, bounce rate and your conversion funnel (shown below) in your analytics software to see where the issue is. Poor navigation. Ensure that the most popular items are easy to find. Poor filtering and sorting. 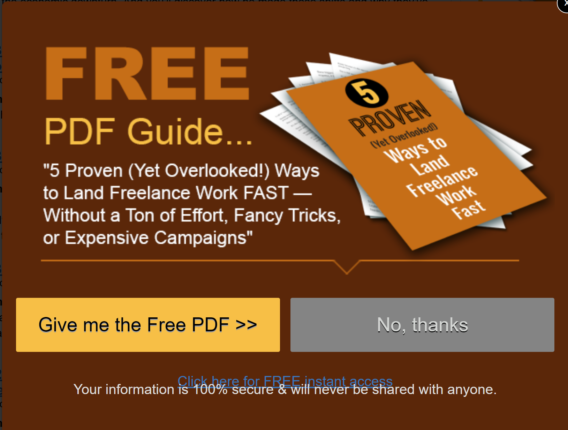 You don’t want to overwhelm visitors with too many options. They should be able to filter items so they get only those choices that meet their needs. Poor search. Again, ensure that search results are likely to match what people want. If visitors can’t find an item, they won’t be able to buy it. Hubspot recommends removing left hand navigation elements to keep buyers more focused, and changing your home page regularly to retain visitors’ interest. When you’re thinking about how to improve your conversion rate, another issue to consider is whether you’re clear on who your customers are. If you’re not marketing to the right people, then you’ll end up with a low conversion rate, and sales will decline. That’s why a key step in addressing eCommerce conversion rate issues is to find out what your customers want. You’ll need to look at web analytics to see how people behave on your site, and social analytics to see what they’re sharing. Pay attention to online reviews and customer interactions via your customer helpdesk and messaging apps. You can also collect useful customer information via customer surveys. All of these will help you understand your market, so you can create customer avatars and market more effectively. Once you’re marketing to specific personas that match your audience segments, you’re sure to see a bump in conversion rates. Ideally, as MarketingSherpa says, you’re aiming to deliver targeted customer experiences rather than a one-size-fits-all approach. If your site’s experiencing a decline in conversion rate, another factor to look at is search engine optimization (SEO). SEO is all about optimizing content and web pages so they appear when people search online, using keywords related to your products. That word “related” is important, because Google aims to show the most relevant content when people search. If your pages aren’t showing up, then people won’t click and traffic will be low. And if they don’t find what they expect when they arrive at your site, conversions will be low, too. That’s why it’s important to do keyword research for your niche and make sure your web pages meet searchers’ needs. Here’s a tip: If you’re running your eCommerce site on WordPress, use the Yoast SEO plugin to guide you through key SEO tasks and remove one cause of low conversion rates. Here’s a guide to setting up Yoast to help you. Did you know that by 2019, there’ll be around 11 billion mobile devices in circulation? And that the number of sales made on mobile devices increased by 65% between 2015 and 2016, according to GoMoxie? As we point out in our article on improving conversions from mobile optins, those are just two of many good reasons to make sure your site’s optimized for mobile users. The eCommerce conversion stats we cited earlier show that people are using their smartphones and other devices to research products, though mobile conversions still lag behind those on the desktop. That means that you need a cross-device marketing strategy and a mobile-optimized eCommerce store to attract and retain customers no matter where they’re browsing or buying. If you’re using mobile optins on your site to present special offers or related products, OptinMonster’s page-level targeting will help you win over mobile customers by targeting optins to the device they’re using. Product pages are where people who are browsing make the decision to buy, so that’s another area where your website conversion rate can suffer. One of the main reasons why some product pages have a low conversion rate is because they don’t do a great job of demonstrating the product to the potential buyer. Shoppers need to understand how the product benefits them and solves their problems, and what the product’s main features are. That’ll help define the value of the product and make it more likely that people will buy. 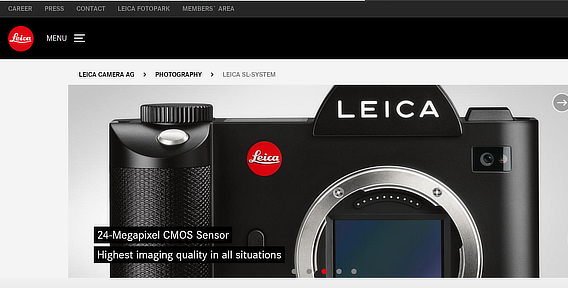 Images matter for conversions, and that goes for eCommerce sites, too. The better your product images look, the more likely your product pages are to convert. You can also use product videos to win customers; video is proven to increase engagement, and the longer people stick around, the more likely they are to convert. For best results with eCommerce conversions, SmartInsights says copy must be “informative, error-free, well written, descriptive, persuasive, and emotional”. Persuasion is especially important. 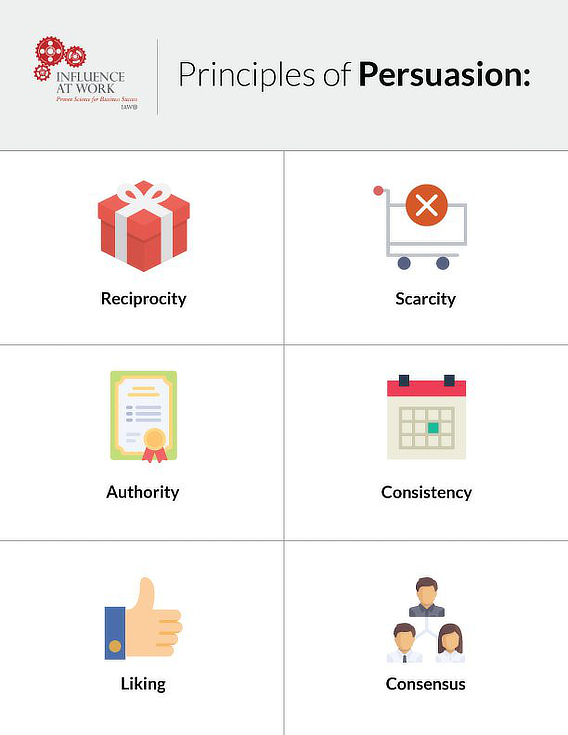 According to Robert Cialdini, there are six principles of persuasion that underpin buying decisions: reciprocity, authority, commitment and consistency, social proof, scarcity and liking. Craft persuasive copy and conversions increase. Create copy to target those buyer personas mentioned in point #2. That’ll make sure each product appeals to the person most likely to buy it. Your copy should also include power words and action words, so you both stir up emotion and inspire action. And there’s one last thing: spellcheck your copy so it’s error-free. People notice mistakes, even if they aren’t aware of doing so, and error-filled copy can hurt both conversions and your reputation. For best results, make sure each page is focused on the core offer you want to make. That means removing navigation and other unnecessary elements on cart pages or landing pages. Check analytics for your pages to see if anything’s stopping people from converting. Go to Audience » Users Flow in Google Analytics, and see where people are leaving the shopping process. For even more insights on shopper behavior, you can enable enhanced eCommerce in Google Analytics. Is your call to action (CTA) clearly written and clearly visible? If not, you could be missing out on conversions. It’s crucial to have a single, clear call to action so visitors have no doubt about what to do next. But a good CTA isn’t just about copy. You also have to get the design and color right, so people can actually see it. If people can see and understand your CTA, it’s easier for them to take action. There’s no getting away from it; trust boosts sales. So, if you’re experiencing low conversion rates, one reason could be that visitors don’t trust you. Using social proof, including real customer reviews. Showing that you’re real by putting your address and contact details and, if appropriate, team photos on the site. Including trust seals so shoppers know their credit card details are secure. Shipping costs kill conversions. That’s why so many eCommerce retailers offer free shipping. According to the Baymard Institute, around 61% of people abandon shopping carts because of high costs, including shipping costs. If you’re charging for shipping, think about making it free. And if you already offer free shipping, make sure everybody knows by putting it on every page of your site. 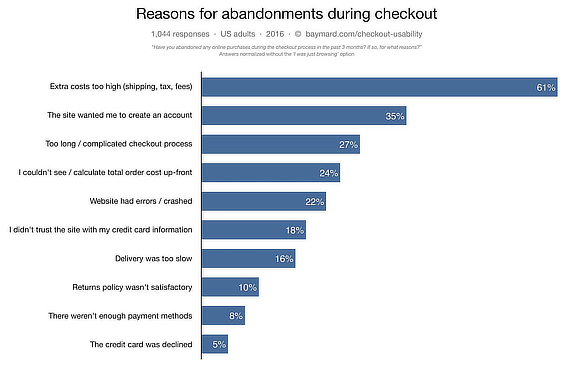 Baymard’s research also shows that two thirds of purchases are abandoned, with 27% of people citing complicated checkouts as the reason. Declutter your checkout pages, as mentioned in point #8. 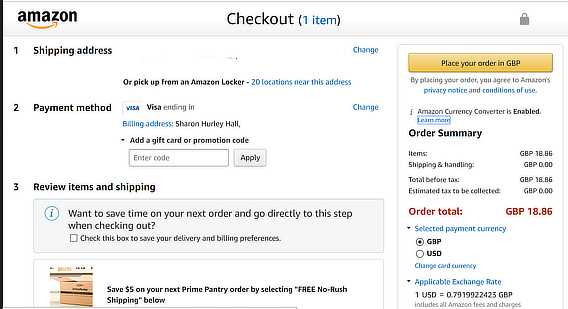 Make sure it’s clear where shoppers are in the checkout process, for example, with a progress bar. Remind people what they’re buying, with product images on the checkout page. Include trust seals and shipping information, so they know exactly what they’re paying. Another good fix for a low conversion rate is to have a guest checkout option, so people can buy without having to sign up. This works well, and then you can offer to save their information for the future. That offer’s more likely to be accepted after a pain-free checkout. For more tips, see our ultimate guide to checkout page optimization. One fix for a low conversion rate is to make the right offer just before people leave your site. OptinMonster’s exit intent technology is the perfect way to do that. Exit intent detects when someone’s about to leave your site and puts your offer in front of them. A limited time discount or tripwire offer can be a great incentive to buy. And if you combine it with page-level targeting, to make sure the offer shown is related to the page they’ve been browsing, you’ll be even more successful in fixing that low eCommerce funnel conversion rate. Remarketing is an essential part of any eCommerce conversion process. It’s a way to get the attention of people who come to your site and leave without completing a purchase. This is crucial because most people won’t be ready to make a purchase on their very first visit to your site. Ever noticed how when you leave a site and then go to Facebook, you see an ad for that same site in the sidebar? That’s remarketing in action, and it’s very effective, increasing both engagement and conversions according to Moz. Make offers to people who’ve been to your site before. Personalize popups to boost sales. Showcase relevant upsells to people browsing your site, as shown below. That optin also uses OptinMonster’s Smart Tags feature. Put the right offer in front of the right people at the right time, and conversions increase. When you’re wondering why conversion rates drop, there’s one external factor to consider: your analytics tracking code. A sudden drop in conversion rate could mean that the code hasn’t been installed correctly, or needs to be updated to take account of a change you’ve made. Check your code, and don’t forget to set it up to track micro-conversions, too. Did you know that, according to Lemonstand, price is the most important buying factor for 60% of people? So, one reason your eCommerce site might have a low conversion rate is because of a poor pricing strategy. Putting the number 9 at the end of a price, rather than rounding it up. Making sure prices have only a few syllables when read. If you’re not sending abandonment emails, you’re missing out on potential conversions. In contrast, if you send them within the first hour after people leave, you can often persuade them to buy. The first email, sent within the hour, aims to help with any technical issues that got in the way of completing a purchase. The second, sent within 24 hours, warns people that their cart will expire. The third, sent within 48 hours, provides an incentive for completing the purchase. See our list of the most effective abandoned cart email examples to create your own. Combine this with checkout optimization (see point #12) and you could easily recover some of those lost conversions. Wordstream warns that you sometimes see conversion spikes that don’t last after split testing, but adds that if you do in-depth optimization, you’re likely to get long-term conversion gains. You can test landing pages, product pages, offers and CTAs to find out which ones your visitors respond to best. 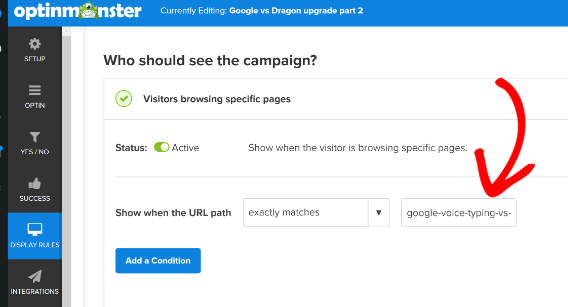 If you’re using OptinMonster, it’s easy to split test your campaigns. It only takes a couple of clicks to create a new split test in the dashboard, then you can edit the new version of your campaign. OptinMonster will automatically segment your traffic and collect analytics data so you know which optin campaign works best. Learn more in our guide to split testing and multivariate testing. Sometimes a low conversion rate has nothing to do with your actions; it’s all about what’s happening externally. Maybe one of your competitors has released a product that temporarily takes customers’ attention away from your offering. Monitoring your competitors to see if you need to adjust your marketing strategy can help address some of the conversion loss. Setting up Google Alerts for your competitors. Monitoring their keywords with SEMRush or Moz. Using SimilarWeb to see who’s visiting their sites. Checking out content effectiveness with Buzzsumo. Paying attention to social media analytics. People like talking to people, and the stats show that by 2018, use of live chat to engage with customers will grow 400% over 2015. Offering live chat means that when people hit a bottleneck in the purchase process, they can get immediate help. That can increase conversions by up to 45%, according to Neil Patel. Consider adding this feature, especially during the checkout. Now you know how to fix some of the main causes of a low conversion rate on your eCommerce site, see how you can boost conversions even more with these floating bar hacks. Check out our guide on how to conduct a conversion rate audit to identify your own leaks. And see our guide on how to create an eCommerce business plan to keep your overall strategy on the right track.